Katherine, your story starts with dealer Alex furtively inspecting a vintage painting offered at auction as “Australian school, sitter unknown”. Alex suspects the painter was Colin Colahan, the model Mary (‘Molly’) Dean. Colahan and Dean were real people? Yes, between 1920 and 1930, Colin Colahan was one of the best-known artists in Melbourne and a rapidly rising star of Australian art. Molly Dean was a special education teacher who aspired to be an author. Molly was Colin’s lover and some-time model. He painted Molly at least twice, but the whereabouts of one of those paintings is unknown. After succeeding at the auction, Alex has the chance to make a quick profit by on-selling to the frustrated underbidder. She refuses to sell: “I want to see it through with Molly”. What is Alex thinking? Alex is generally driven by the bottom line – in her business, a girl can’t afford to be sentimental – and this is initially her motive for uncovering more of Molly’s story. A painting of a beautiful girl with a tragic backstory should attract a better price. But she quickly discovers Molly’s story is far more intriguing than she anticipated. Normally, the chance to immediately flip a painting for considerable profit would be a no brainer, but the underbidder is too pushy. Something doesn’t feel right, and besides, when people push, Alex’s usual response is to dig her heels in, and she does. Is it possible Alex feels an inexplicable kinship with Molly? Are they comparable women in any ways? At first Alex feels sorry for Molly and then yes, I think she starts to identify with her. Both Alex and Molly are single women, trying to carve out paths for themselves in a masculine world. It’s far more extreme for Molly in 1930, but it’s also true of the little niche Alex occupies in the art world. There are women who own high-end galleries, and women employed by auction houses, but Alex is out there on her own, matching wits with the largely male-dominated industry on a daily basis and trying to advance. A big break could make the career of either woman. Alex’s activities are happening in 1999. Why did you choose that date? I wanted a date when it was still possible for Alex to speak to someone who was alive in 1930, but I also wanted just a little bit of technology available – a bit of internet, a mobile that was just for calls (and not everyone had one), that sort of thing. For example, Alex could access the website of the State Library of Victoria to see what newspaper references were available, but then she still had to go in and search through spools of microfiche to find what she was after. Happily, it was also a great time for the art auction market in Australia. Some sections are set in 1930 and told from Molly’s point of view. Did you enjoy researching the society of that time? I always find research enjoyable, but this period in Melbourne’s history is especially fascinating. The city itself was changing dramatically, the Jazz Age was colliding with the Great Depression, and then when you factor in differences between social classes… I probably spent far more time than I should have reading catalogues and advertisements! Molly’s mother is an unappealing character. What was going on there? Molly’s relationship with her mother is quite disturbing and toxic, but it’s also one of the things that makes Molly’s story so compelling. Some of Ethel Dean’s actions almost seemed sociopathic – at least as far as Molly was concerned – and not all of them made it into the novel. Molly didn’t have enough money to live elsewhere, but she clearly tried to stay away from home as much as possible. We’re told of two murders of young women close to Molly’s home, and some other attacks. What can you tell us about these? A number of women were attacked in the months leading up to Molly’s murder, all in and around St Kilda and Elwood, Molly’s home suburb. There were enough similarities for police to consider that Molly Dean’s murderer could have been the same assailant, but this theory didn’t advance their investigation. Police also examined whether there was a connection between Molly’s murder and that of Hazel Wilson and Meena Griffiths. It was a dangerous time to be a young woman in Melbourne’s inner south-east. We learn that police investigations of these matters weren’t the best. The man at the head of the police force was famous/notorious then (and later). Did you consider taking your narrative further into that public political area? Definitely! There’s some very juicy material there, but ultimately it would have taken me in quite a different direction. Alex has two trusty offsiders as she investigates: art conservator John and Irish wolfhound Hogarth. Are you fond of these two? Is it likely we’ll be meeting up again with Alex, John and Hogarth? I’m immensely fond of John and Hogarth. They’re a pair of dags, but they’re staunch allies for Alex, (although Hogarth is by far the braver of the two). Alex, John and Hogarth definitely have a few more art-related mysteries to solve. Were you conscious of being influenced by any authors and books as you created this novel? It would be impossible to write a novel set in Melbourne in 1930 featuring a female protagonist and not have the wonderful Kerry Greenwood and her heroine, Phryne Fisher, in the back of my mind! But we’re a few years later here, and fortunately Molly and Miss Fisher are very different women with very different agendas. You acknowledge the help of authors and writing teachers Toni Jordan and Paddy O’Reilly. How did you find the process of editing and reworking drafts? 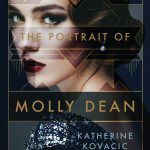 I wrote quite a bit of The Portrait of Molly Dean while attending Faber Academy’s Writing a Novel course, which in Melbourne is taught by Paddy and Toni. The advice and feedback they gave (not to mention pep talks!) was invaluable. The editing and redrafting process was both painful and cathartic; it’s horrifying to get to the umpteenth re-read and find something you’ve missed every single time, but it’s great when things finally pull together. Authors Gideon Haigh and Sulari Gentill provided blurbs for your book cover. 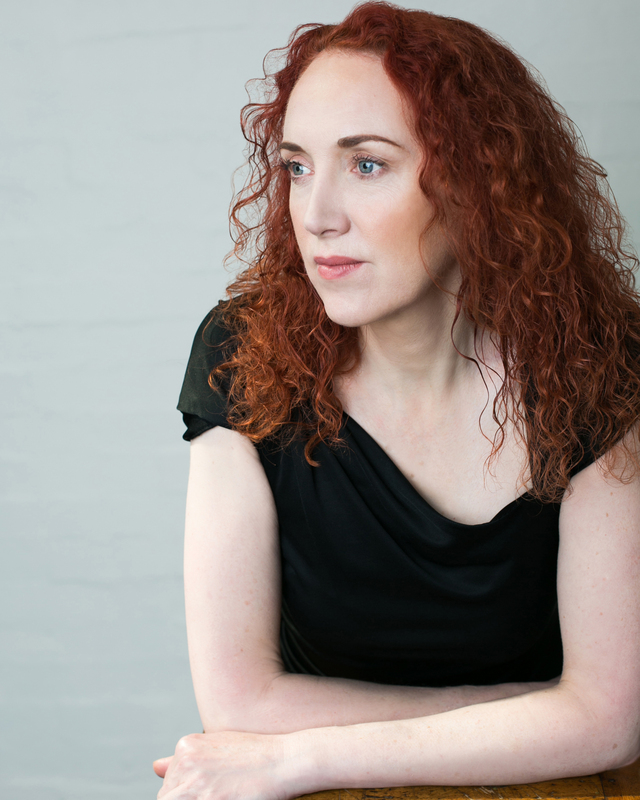 Haigh has a book coming out about the Dean case and its bohemian milieu. Do you see his book and yours as complementary? I haven’t read Gideon’s book yet, but we caught up while he was still writing and as his is a true crime account, I think they will complement each other. Thanks for your responses, Katherine.